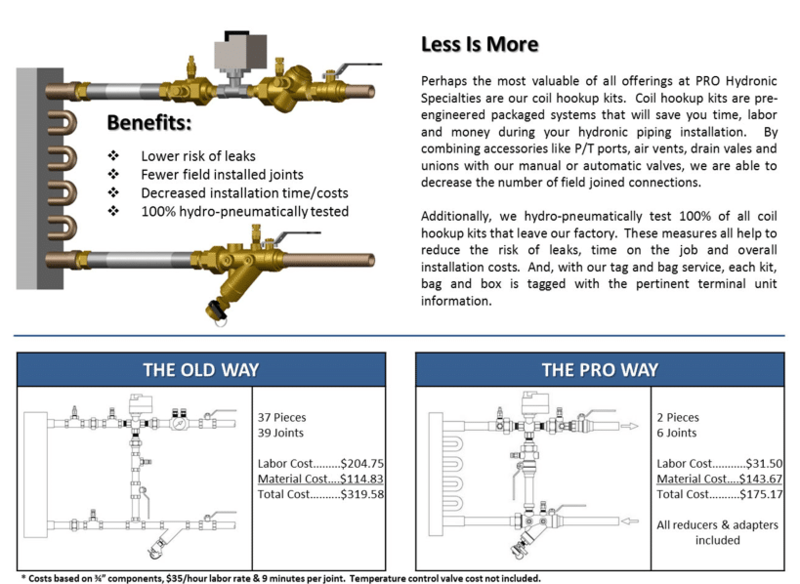 The Hill Company offers a full line of hydronic balancing options from PRO Hydronic Specialties. These solutions are ideal for a wide range of commercial and industrial applications. Why Use the PRO Automatic? In todays drive to maximize building HVAC hydronic system efficiencies while maintaining flexibility of design, engineers and owners are more often turning to automatic flow limiting devices to achieve those goals. Automatic flow limiters provide the capability to react to modern, dynamic hydronic systems while simultaneously maintaining the target flow rate for all terminal units. They are ideal for both variable and constant speed pumping systems. Let us custom design the right solution for YOUR business. The Hill Company offers several different options to meet all of your needs. Contact us today at 317-856-4337 to learn more and get started! Our interactions with customers are built on the personal relationships that have been developed since the company began in 1984. Our customers are more than just a number or potential sale. They are real people with real problems. We take those problems and make them our own and commit to find the right solution to fit our customer’s needs.